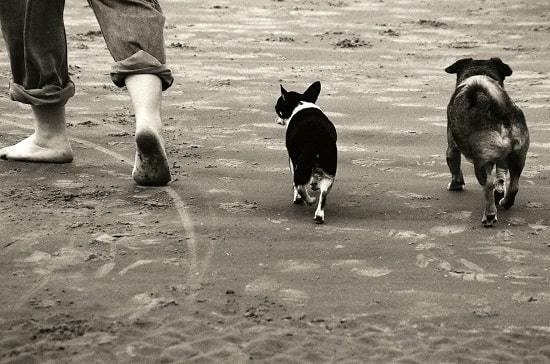 Throughout history, dogs have been our companions and best friends. Many of us dog-lovers take our furry friends everywhere with us. Because of this, it’s a good idea for you to spend some time training your dogs to be off-leash. Off-leash dog training isn’t that hard to do. 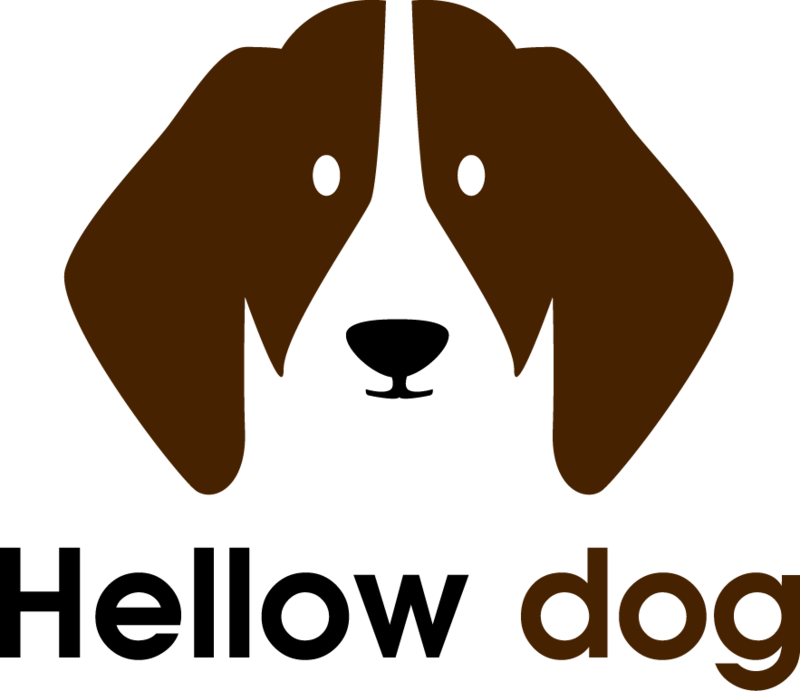 Dogs generally smart animals and they just need some time and attention to learn something which will make your life easy and more convenient. 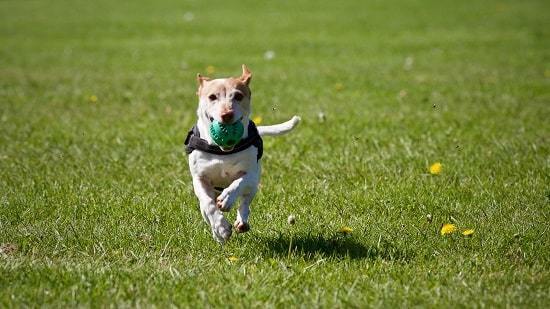 ​ In this article by our friends from Time for Paws – an online pet supplies source, we’ll go over some useful tips for training your dogs to be off-leash, as well as why it’s a good idea to teach them this valuable lesson. Most of us don’t have dogs so they can just hang out with us in our homes. We like to take them with us and enjoy time with them outside. So, doesn’t it make sense that we’d like to spend time with them walking and running alongside us without having to have them always restrained by a leash? Of course, it does! 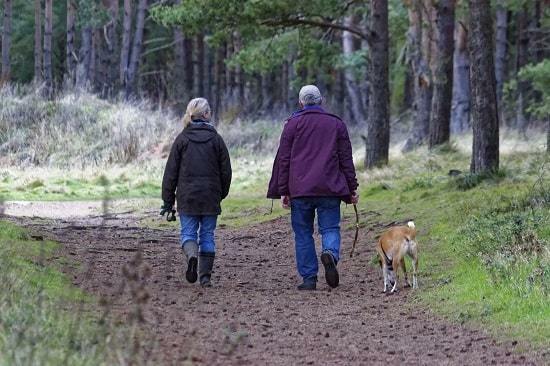 There are a lot of activities that we participate in where we would benefit from having a dog that is trained to be off-leash — camping, hiking, jogging, biking, walking, just to name a few. Even just hanging out on your front porch with your dog is reason enough to train him to be off-leash. And if that wasn’t enough to convince you, let’s say you’re out walking your dog and he somehow helps himself to get out of his collar, therefore, freeing himself from the restraint of the leash. He makes a mad dash to celebrate his new-found freedom while you are left screaming his name at the top of your lungs, empty leash in hand. If you’d already trained him to be off-leash, then your screams wouldn’t be in vain. That is precisely what I thought when this very thing happened to me. Sadly, I never was able to get my little friend to come back to me in that scenario. He was gone forever. The moral of this story? Whether you think you’ll benefit from it or not, there are plenty of reasons why dogs should be trained to be off-leash. You can start training your dogs to be off-leash at any point in their lives. Whether you have a brand-new puppy or an old dog that you’ve had for a long time, you can train them to be off-leash if you would like. It’s important to remember that you actually can teach an old dog new tricks. The steps below are not the end-all, be-all. These are the foundational steps you should take to train your dog to be off-leash safely. ​Before you train your dog to do anything, the first thing you need to do is have a strong bond between you and your pet through obedience. Your dog needs to know that you are in charge but that he can trust you too. You need to be regular with your training and develop mutual respect between you and him. Once you’ve bonded with your dog, you need to find a good safe area to do your off-leash training. 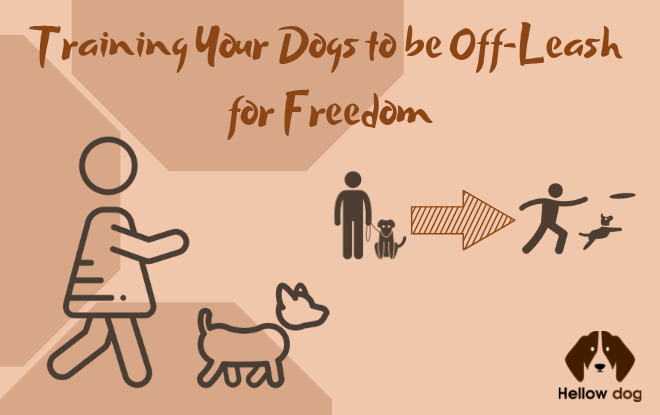 It’s best to search a small, enclosed space so that you are safe from outside influences and you can maintain control over your dog as he is taking his first steps towards learning how to behave with his increase in freedom from the leash. ​Before you’re just taking the leash off altogether, let the leash drag on the ground while it’s still attached to your dog’s collar. One thing you can try that will help you communicate to your dog that you are still in control even after the leash is taken off is to start with two straps. At the appropriate time, remove one of the straps but let the other one drag on the ground. It will be there if you need it during the training process. Your dog will learn that when the leash comes off, you still have control over them if you need it. ​You can search and find an off-leash group in your area. Dogs are, by nature, pack animals. Packs of their kind influence them. 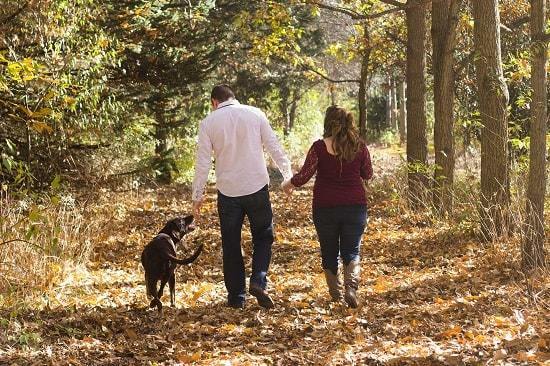 You and your dog can both benefit by the behaviors of the dogs and humans that participate in the off-leash group. ​Understand that this isn’t going to be an overnight success. Your dog is going to test his boundaries, and he’s going to have good days and bad days. But you need to be patient with him and persist in your training efforts. Don’t abandon your lessons just because he has a bad day. Keep the end goal in mind and celebrate the successes you do have with your dog’s off-leash training. Remember that if you keep at it, you’re going to be enjoying a dog who can spend time with you in a more natural state at some time in the near future. You should need to stick to the program without flinching. Not all places are right for your dog to be off-leash. In fact, in some places, it’s actually against the law for your dog to be leash-free. You need to make sure you’re obeying laws of the areas you take your dog for starters. But there are plenty of places where it is ok to have your dog off-leash. The biggest thing to consider before letting your dog off his leash is safety. It’s important to keep your dog safe, as well as other people’s dogs, and all people that are in the area. If you’re in an area having lots of vehicle traffic, then it’s probably not a good idea letting your dog go off-leash as he could get hit by a car and cause a traffic accident. If you’re in a crowdy place like a heavily used hiking trail, you may want to keep your dog on his leash so as not to inconvenience other hikers. When you take your dog hiking, it’s best to choose trails that are not overly crowded or go at times that are less popular for other hikers. You never want to endanger your dog or anyone else by letting him off of his leash. If there’s any risk of your dog getting hurt or causing someone else to get hurt, then take cautionary steps before it is too late and keep him on his leash. Here it is important enough to emphasize the word “come” and how it should be used. Obviously, “come” is a word that, if your dog is going to be off-leash, your dog needs to be very familiar with and needs to respond to. You need to make sure that you’re only using the word “come” in a positive way though, and with a positive outcome. When your dog responds to your command of “come,” he should never be met with punishment or scolding. Once he associates “come” with that negative energy, he will not want to respond to the command anymore for fear that he is in trouble. We often get asked if all dogs can or should go off-leash. The answer to that question is perhaps on the negative side but not for all dogs. Our recommendations are to look for a few things to decide if your dog is right for going off-leash. It doesn’t come down to specific breeds or sizes of dogs. It should be based on their personalities. Your dog hides from others. Your dog likes to play very rough and aggressively. Your adult dog is under socialized. These kinds of displayed behaviors may indicate that your dog could have trouble with off-leash situations. It’s best not to force a dog who is going to be uncomfortable in a particular condition that could make it anxious and thus put itself or others in danger. Training your dogs to be off-leash can be a wonderful experience for you and your pets. You’ll find that once you get through it to a point where you can start reaping the benefits of the training, your world with your dog opens up. Your furry friend will get to enjoy the outdoors in a more natural state and explore his surroundings with more freedom and you will get the joy of watching him be happy doing that while feeling the pride in yourself from teaching him something that made happiness possible. You’ll find that your adventures together are more relaxed and more fun. And the bond you’ve built with your dogs will be the strongest it’s ever been!